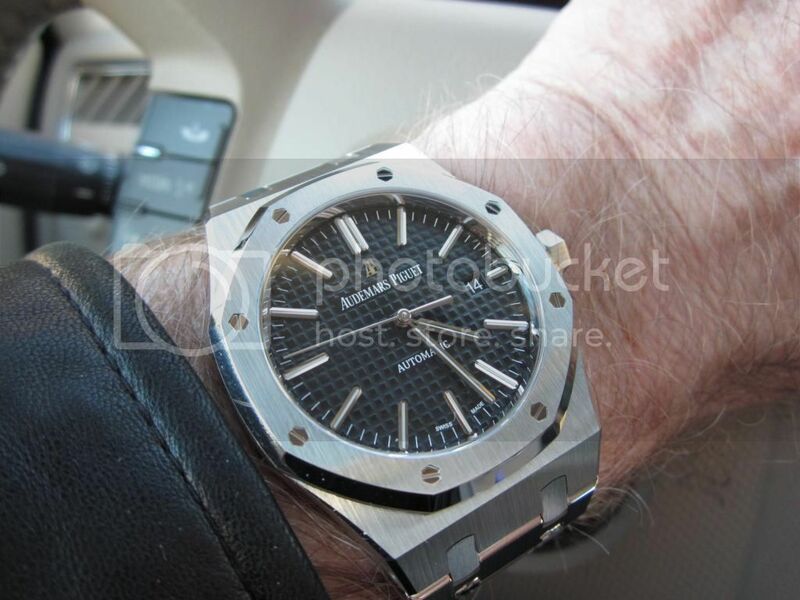 I had read the praise our AP Forum Members have showered on the Audemars Piguet North America Service Center in a Clearwater, Florida. Now you can include me in that legion of those impressed. I had some business nearby in St. Peterburg--if you consider business to be driving down there to pick up a Richard Lange that I had acquired. So I called ahead to AP Clearwater for an appointment to drop off my APRO 15400 for the one year warranty extension/pressure check. So on a Monday morning I drove to their new facility (they bought a building, took it down to the foundation, then purpose built a secure facility that looks like something directly out of La Brassus). Very Impressive. From the first call, to the initial meeting (with a 3-person team) to the discussions of exactly what they would do, to the follow up proposal--all in writing, all explained--it was clear that I was dealing with a well trained team of professionals. By well trained, I don't just mean technically--I mean how they interact with their clients--and the processes they use. All First Class. They did all the extended warranty work PLUS they assessed the movement and found it creating too much energy (making it run slightly fast)--so they adjusted it under warranty--and apologized (in writing) that they had to do this. I also had a slight character nick on my APRO from a year of solid overseas travel (a character mark that only I could see)-- so I asked them to treat it locally without a total or even light polish (I was advised of the small, very small, nominal charge--and I elected to authorize this precision work). They did it perfectly. Finally, they called to set up the return by overnight express--again all handled impeccably at their compliments.